Stainless and Aluminium Specialists for Residential, Commercial and Marine. Stainless steel is a practical and stunning solution for residential properties. 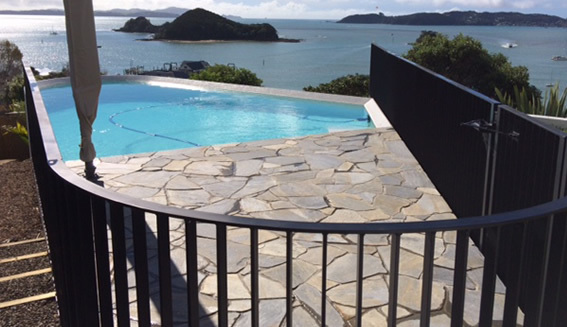 We make custom designs for steel and glass balustrades, handrails, door handles and kitchen fittings. 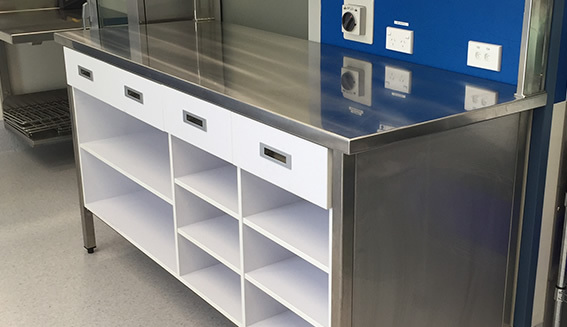 We make stainless steel benches, sinks, commercial extractor hoods, racks and shelving, equipment stands and trolleys for all sorts of business needs. From fuel tanks, checker plate decks and highly polished stainless rails through to bollards, rod holders, rod racks and rocket launchers. Absolute Stainless specialises in stainless steel manufacturing in the marine, commercial and residential markets. 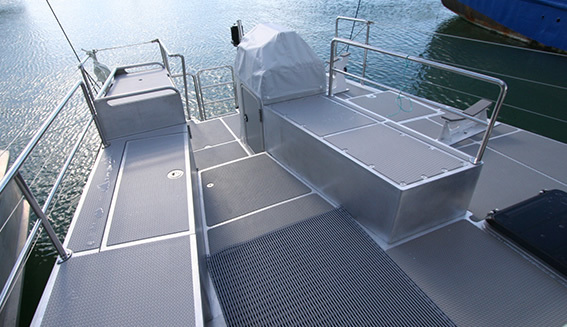 We make special marine fittings, including bow rails, hand rails, ladders, radar arches, rocket launchers, bimini supports, bow rollers, bollards, fairleads and cleats. Absolute Stainless also specialises commercial projects, including the construction, repair and testing of all stainless steel and aluminium tanks. We make all types of items for commercial kitchens and checkout counters for supermarkets. Custom made exhaust mixers and raw water strainers. On-site fabrication, welding, repair and installation of all stainless steel and aluminium, including structural work. Residential work, including interior/exterior fittings and structural work for buildings in coastal environments. Hand polishing, to any standard required, including mirror finish. Need a quick quote or have a question about an upcoming project? Just to say the guys did a great job of the benchtop and it looks awesome in place. Thanks again for getting it through quickly. We use Absolute Stainless for all our Vessel stainless work repairs and manufacture. Whether it be external hand rails or fixtures to internal galley and bathroom stainless repairs. Simon and the team are easy to work with and they have a variety of experienced capable tradesmen. We have used Absolute Stainless on numerous occasions for products and solutions in the construction industry. Without fail we have always found them to be professional in both service and the product they produce. A huge thanks for the stainless steel benchtop. The guys were great, as there was a bit of problem solving to be done which they coped with incredibly well. All credit to you guys. Also a big thanks to Simon who suggested the Ikon sink idea which is so great. Thanks again. 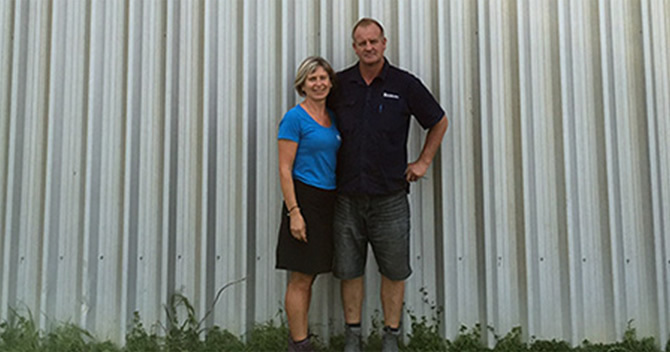 Absolute Stainless is owned and operated by Simon and Sue Mehrtens, of Whangarei, New Zealand. Simon and Sue setup the business in 2001, after Simon noticed a gap in the market for high quality stainless steel products. Simon has extensive experience in the marine industry, including working in the boat building industry in Perth, Western Australia and in Whangarei. Absolute Stainless has highly qualified staff working to create quality products tailored to meet the individual needs of each customer. ® 2019 Absolute Stainless. All Rights Reserved.